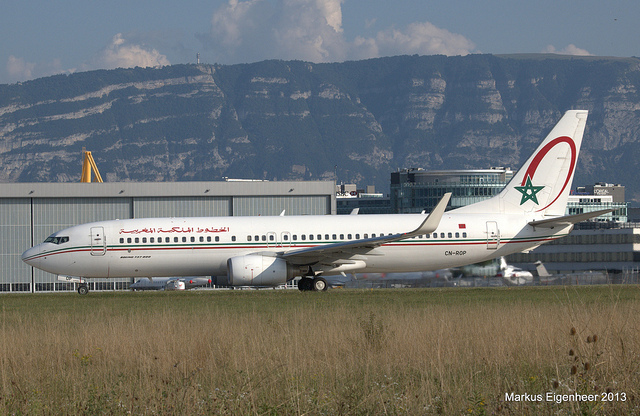 Boeing and the Embassy of Morocco have announced the third in a series of bilateral trade and investment forums to be held in Seattle on October 3, 2016. After successful events the past two years in Dallas and Atlanta, Morocco is looking to promote its markets to companies interested in its growing technology and aerospace industries. Boeing has been a pioneer in the aviation industry in the kingdom with joint ventures in a number of supply chain and training companies targeting the aerospace industry. Thanks to Boeing’s leadership and broad support from the Moroccan government under the leadership of the late King Hassan II and the current King Mohammed VI, Morocco has emerged as a top location for the aeronautics sector in Africa and Europe, from supplying harnesses and cabling to where it now has the capabilities to assemble and manufacture planes in-country. This capacity has attracted airplane manufacturers from Canada, Europe, and Brazil to take advantage of the skilled workforce, excellent logistics and geographic location, and the country’s stability to put down roots for profitable operations addressing regional markets north and south of Morocco. This is even more critical at a time when Morocco is moving away from being overly dependent on agriculture as a main component of its gross domestic product since it is subject to the vagaries of rainfall in the region. By co-locating with other burgeoning industrial locations in Tangier and Casablanca, Morocco has assembled quite an impressive supply chain and training resources to support industries. And much of this has come about as a result of the decades-long partnership with Boeing. In addition to a Moroccan delegation of companies from the aerospace and technology sectors, key players representing the kingdom include H.E. Mamoune Bouhdoud, the Minister for Small and Medium Enterprises, who will give the afternoon keynote address; the head of the aeronautics manufacturers association, Hamid Benbrahim El Andaloussi, who has spent most of his career related to Boeing in Morocco; and Said Ibrahimi, the CEO of Casablanca Finance City Authority, which is a location specifically designed to serve as a corporate base for companies doing business in Africa. From the Boeing side, Mr. Ihssane Mounir, the Senior Vice President for Northeast Asia Sales of Boeing Commercial Airplanes; will join Kevin Schemm, the Senior Vice President of Supply Chain Management, Finance and Business Operations, and CFO Boeing Commercial Airplanes; and representatives of other firms to discuss their success in Morocco and why it’s a great opportunity for other US companies. Mr. Ray Conner, President and CEO of Boeing Commercial Airplanes will host a networking reception for the attendees from Morocco with local American companies, trade associations, and government officials. The US and Morocco have greatly expanded their trade ties under the 2006 Free Trade Agreement (FTA), which has resulted in an increase of more than 300% in US exports to Morocco over pre-FTA days, now more than $2 billion annually. In addition to aircraft parts and electronics, more than 180 US companies are active in energy, technology, value-added agriculture, financial and educational services, manufacturing, and a diverse array of consumer products. A warm-up event for the Seattle forum will be held on Monday, September 26. Called “Direct Line: Aerospace Opportunities in Morocco,” it is a conference call hosted by the US Department of State Bureau of Economic and Business Affairs, featuring The Hon. Dwight Bush, US Ambassador to Morocco and others. According to the State Department announcement, Ambassador Bush and his economic team, along with local subject matter experts, will discuss the challenges, risks, and opportunities in the Aerospace sector as well as the broader Moroccan business climate. Presenters will also spotlight the upcoming U.S.-Morocco Trade and Investment Forum in Seattle. Please RSVP by Friday, September 23, 2016 by clicking here.